A new tour was also started, but M.33 had left the band and Adam 12, while present on the upcoming album, was not touring. Former Alien Ant Farm guitarist Terry Corso and former Halfcocked (the first band on Spider's label) guitarist Johnny Rock were brought in to round out the live show. The band has recently completed their new album, called "Destroy What You Enjoy". The band has announced that they are signed to DRT Enterainment, who released their album, of which the song "Wild World" is the new single and video. On May 21, 2007, Powerman 5000 claimed via a MySpace blog post that they will be releasing a new studio album in 2007. The following is taken directly from said post: "Considering the bands track record of putting out cds once every three years it seems hard to believe that, yes we will put out a new disc in 2007!! It's all just beginning to develop and the wheres, whos and whats are to be determined but new rock is on the way!!" However, talk about the record soon simmered, and no new information was released. Finally, in December 2008, the new track "Super Villain" premiered on the band's Myspace page, showcasing their return to their platinum-selling sound of the late 90s. On January 28, 2009, a preview of tracks from their upcoming 6th studio album were posted on the groups MySpace page, containing clips from the songs "Super Villain", "V is for Vampire", and "Horror Show". Powerman 5000 posted that "Super Villain" would become available for digital purchase on February 10 via iTunes and Amazon.com. On April 7, 2009, Powerman 5000 released a blog on their MySpace page stating that Anyone For Doomsday? has officially been re-released. The legal battle ended and the album was released under the SKG Music License. The album is available on iTunes as a digital download. On April 21, the band released "V is for Vampire", the second single from their upcoming album, which is planned for a summer release. 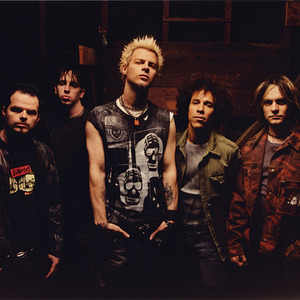 On July 7, 2009, Powerman 5000 released a blog on their MySpace page stating that the new album has been finished, and that a release date, track listing, artwork, and additional tour dates was coming soon. On July 27, 2009, Powerman 5000 appeared on Rockline, announcing the title of the new album as "Somewhere on the Other Side of Nowhere". A Tentative release date of October 6 was also announced. Three new songs were also premiered on the show, including "Timebomb", "Make Us Insane", and "Show Me What You Got". On Myspace Spider posted a blog talking about the three new songs filled with comments of the fans liking the music. On September 6, 2009, Powerman 5000 released the album cover design along with the promotion of their upcoming tour starting on October 24. They also released two new promotional videos on YouTube for their new album, confirming its release date as October 6. On October 1, the full track "Do Your Thing" was leaked onto YouTube. The song was apparently taken from the Megatronic Records Forum, in which frontman Spider One currently owns. The CD "Somewhere On The Other Side Of Nowhere" was officially released on October 6 in the U.S. and was available in Canada on October 20, two weeks after the reported release date. The band embarked on a national tour during October and November in support of the album. On December 7, Spider, the band's lead singer posted links on his Twitter page linking to FearNET.com which is hosting the bands music video for their first single "Super Villain". The video is also available on YouTube and stars Johnathon Schaech as the infamous Super Villain.